TODAY, Monday 16th May, 2011, the National Theatre of Scotland is delighted to announce that theatre maker, Catriona Lexy Campbell has been appointed the company’s first Gaelic associate artist. In her new role, Catriona will work with the National Theatre of Scotland to support the company’s artistic planning, inform the development of its Gaelic strategy and develop new personal artistic projects. Commenting on her appointment, Catriona said: “I am very pleased to be working with the National Theatre of Scotland as their first-ever Gaelic associate artist. 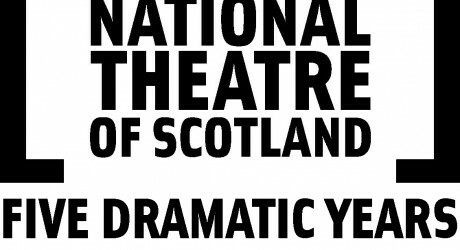 This is a great opportunity, not only for myself but also, for the Gaelic arts community to join with National Theatre of Scotland in forming strong partnerships, enhancing existing connections and bringing Gaelic theatre into an exciting new domain. Writer, actor and theatre maker, Catriona began her career as Gaelic drama artist for Skye, Lochalsh and Lochaber with Eden Court Theatre and continues to work extensively within the Gaelic creative arts community. She has won international awards for her poetry; featured at many of Scotland’s literary events and festivals including Wigtown Book Festival, Stanza and Word. She has published a novel and a book of short stories and has recently been commissioned by the Scottish Palywrights Society, to write a new play in association with Theatre Hebrides. At the beginning of 2011, the company staged a new play, Somersaults by Gaelic playwright Iain Finlay Macleod, which premiered at the Traverse Theatre, Edinburgh. This commission launched the development programme for Gaelic artists and work at the National Theatre of Scotland. Somersaults was presented as part of the Company’s five-week Reveal residency at the Traverse Theatre Edinburgh at the beginning of 2011. The production then toured to the Citizens Theatre, Glasgow, Macphail Theatre, Ullapool and An Lanntair, Stornoway. The idea for Somersaults originated following discussion between writer, Iain, and Vicky Featherstone, on the decline of the Gaelic language. Iain was awarded a writers attachment with the company in 2009 and was subsequently offered a play-writing commission which led to Somersaults receiving a platform performance during Reveal. Iain is currently under commission by National Theatre of Scotland to write a second play. Further details to be announced.